2, 3 & 4 Day Retreat in our new Studio. Minimum of 6 to reserve the Studio. $75 deposit is refundable up to 3 weeks prior to your scheduled dates only. We have 2 cutting stations, 1 large ironing stations, a microwave, small refrigerator and a coffee pot. We will provide bottled water, coffee w condiments and paper products. Food may be brought in or order out. There are 9 tables in the Studio so if your group is more than 9 you may want to refrain from bringing large extension tables. Please call the store for more details. This is a great day to come together with other quilters and have some fun!!! Pick one of our great prints and pair it up with a gradated fabric. You are now ready to make a beautiful bargello quilt. 3 different designs to choose from the 2 Fabric Bargello pattern. 3 fabric version available, also. Make a pillow case with a cuff and flange. Finish up with French seams. Includes 6 card pockets, 2 open pockets andd a zippered pockets! Have you ever wanted to learn paper piecing? No not English paper piecing. Paper Piecing. Use this technique to make precision blocks and pictures with fabric. Create this beautiful and colorful quilt in a fun and unique way! 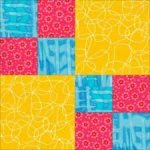 This is a quick, colorful quilt to make! Fun! Everyone wants to have that great pair of PJ Bottoms to put on after a hard day at work. This class will give you the tools you need to make as many pairs as you would like. Learn what measurements you need to have and you can start making PJ Bottoms for yourself, the kids or the grandkids. This is a quick and fun quilt (54" x 72"), just a nice size for a throw. Great quilt for a beginner to make! 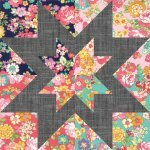 This is a fun, quick & easy quilt (73x81) from Missouri Star Quilt Company. I think you'll like it!!! Cut Loose Press "Crazy Trees Runner". A cute table runner for your table. Get creative, make it your own, and use colors you like for your table. 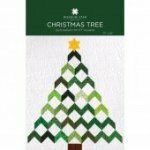 Really cute way to make a Christmas Tree wallhanging. Size is 33" x 37". Using just 2 colors you can make this great sampler. 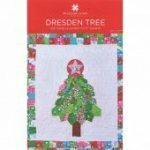 You will be a using machine applique to complete the blocks. A 3rd color will be used for sashing. Each block is like putting together a small puzzle! Pick up a supply sheet in the store so you will be prepared to sew on the day of class. This quilt is made from 3 different blocks...so much fun to make! 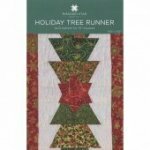 Celebrating Christmas in July...this runner is cute and quick to make! This pattern is great...lots of fun to make! This tote is a great size, and oh so much fun to make! This is a quick, fun project that a confident beginner will be able to complete in class (or very close to completing!). Pick one or both of these cute applique wall hangings to make for Halloween! I can only post one of the pictures below...you can see he ghost pattern in the store.